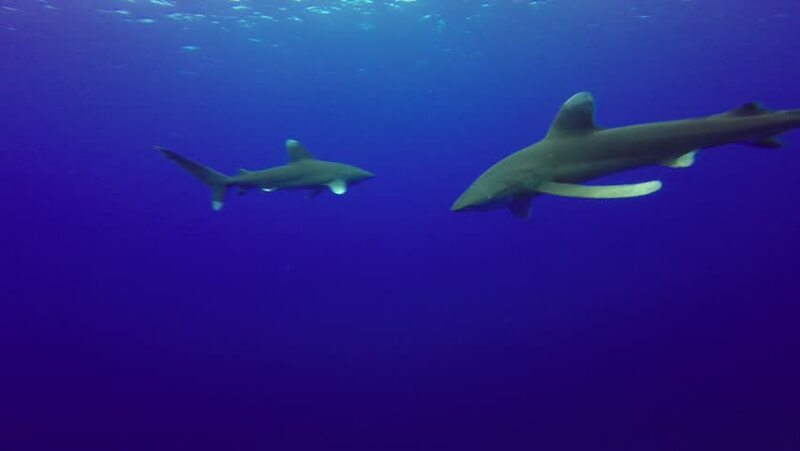 hd00:25Oceanic whitetip shark (Carcharinus longimanus) filmed at Daedelus Reef (Abu Kizan) in the Red Sea. The clip was shot using a Sony HDR HC1 in a Light & Motion Bluefin Housing. hd00:12Silky shark (Carcharhinus falciformis), Low angle, Silhouette of shark swimming close to the ocean surface. Red Sea, Egypt.